The social supermarket is a type of neighbourhood shop, which sells a number of foods, maintenance products and cosmetics/healthcare products. Having first registered and made an appointment, customers have the opportunity to shop at significantly reduced prices. Products are displayed in the same way as in a normal grocers shop. Customers can choose from a wide range of products and pay a (small) charge. The product range comprises lots of fresh produce and healthy eating is definitely encouraged. Dumping by the food industry is avoided where possible. The shop is only accessible to customers with an access pass, which can be obtained following a social appraisal by independent services. The social supermarket has specific opening times and is not open every day. Customers are allocated a specific day during which they can do their shopping. 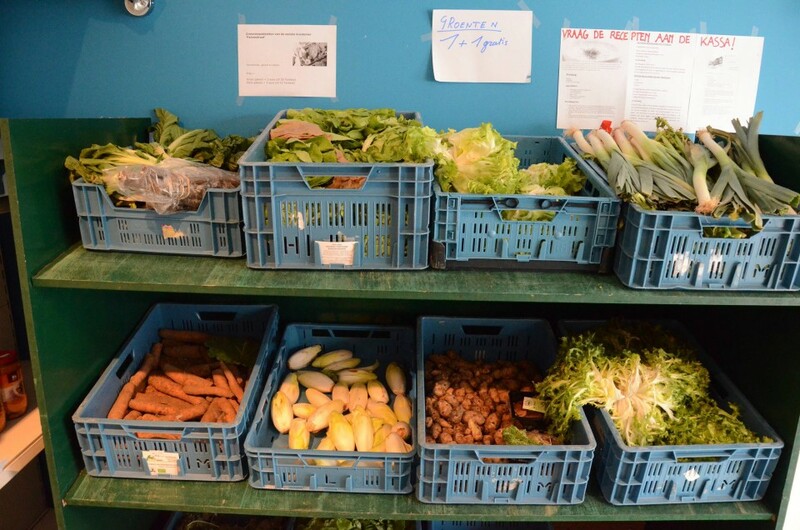 Social supermarkets operate alongside existing food distribution systems offering support to people in dire circumstances. Social supermarkets focus on the social aspect. Visitors receive a warm welcome with a cup of coffee and a chat. People are also actively encouraged to get involved in the fight against poverty. Social supermarkets offer people the opportunity to take on voluntary work, in some cases with potential for subsequent social employment.